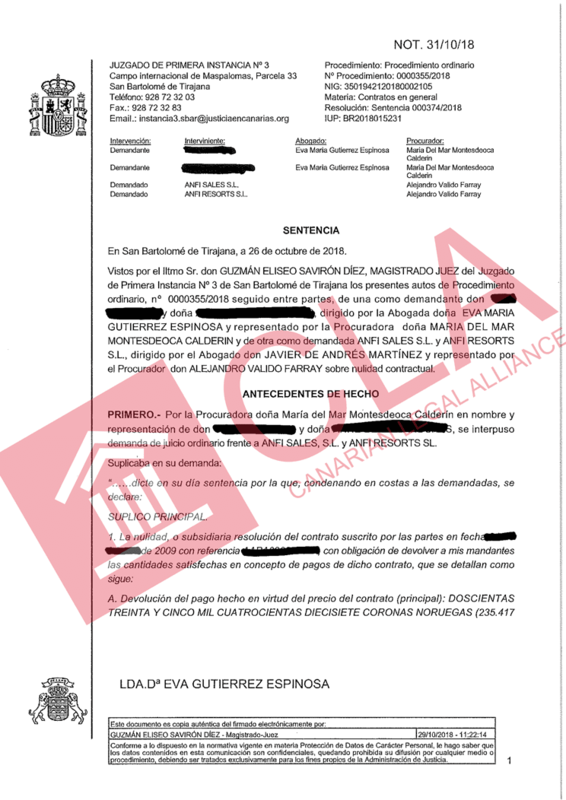 CLA would like to share with you a recent ruling against Anfi where our clients contract has been declared null and void by the court of Maspalomas. The judge also ordered Anfi to pay back the purchase price and a sanction for the illegal deposit taking within the cancellation period. Our clients will be receiving more than 23,000€ plus legal fees and interests.